Prey released worldwide for Xbox One, PS4 and PC on Friday. Developed by Arkane Entertainment and published by Bethesda, Prey comes to us as a reboot of Human Head’s original Prey (2006). The sci-fi FPS casts the player as Morgan Yu, a human scientist trapped on a science station overrun by shape-shifting aliens. Arkane has described the game as a “spiritual successor” to System Shock, and cite Dishonored’s open world and player choice elements as primary influences. Long time followers of the Prey franchise will know this is not the first attempt at a continuation. A direct sequel was announced in 2009 and presented at E3 2011. However, after three years of silence and multiple IP ownership changes, Prey 2 was cancelled by current owners Bethesda in 2014. 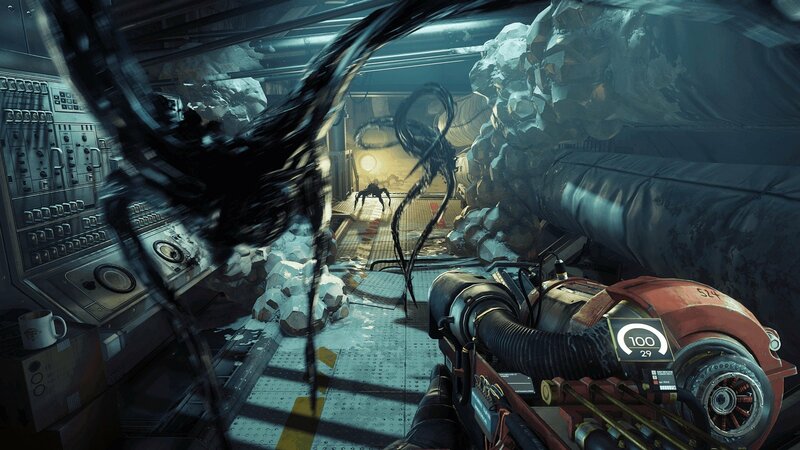 Prey was re-introduced in its current form at E3 2016, as a re-imagining of the property. Prey can be purchased digitally on Xbox One, PS4 and Steam for $59.99 USD, or in the physical world at the usual retailers.